To help cover the operating cost of this website and provide great contant, I use affiliate links in this article. I'm paid a commission if you click on, or make purchases through these links. Please read my Disclosure for more information. I’ve not written much about renting cars. But this week, I’ve rented three cars on my travels and thought it’s time to write the list of upsells, car rental company tricks, and mistakes I’ve made with my past rentals. My target was ten. As I sat and jotted down my notes, I ended up with fourteen. 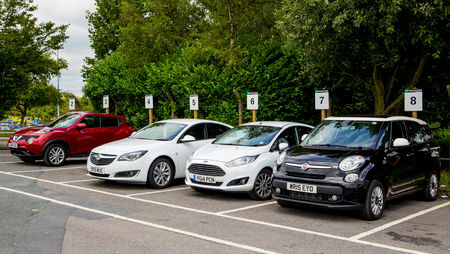 The big problem with renting cars are all the little extras that add up. A $19 per day car rental can quickly become $100 per day with the upsells, upgrades and add-on the rental agent offers you. And then there’s the ‘we got you’ add-on’s that always seem to appear after the return. So, in no particular order, here’s my list. Not Filling up the tank when returning. When returning with less than a full tank of fuel, the rental company can charge you up to five times the local price for a gallon of fuel. So if the cost locally for a gallon of fuel is $2, you could pay as much as $10 per gallon on the return. But there is another string. When the fuel gauge reads empty, there is still two to three gallons left in the tank, depending on the size of the vehicle, in reserve. So, to make a fuel gauge read full again when empty on a twenty-gallon tank, you may only need to put in seventeen gallons. But the car rental companies take it that when the gauge reads empty, the twenty-gallon tank is empty and charge you for twenty gallons of fuel. They magically forget about the three gallons in reserve. How to avoid? Always fill the rental car with fuel within ten miles of the airport. I like to squeeze a bit more fuel into the tank after the filler nozzle clicks out to make sure the gauge still reads full at the airport. I don’t want an overzealous return agent charging me for a gallon of fuel because the needle of fuel gauge is just under full. Not being aware of the local price of fuel when buying the fuel purchase option. If I know I’m going to do a lot of driving; I purchase the fuel purchase option at the time of rental. Some rental companies will even let you buy half a tank of fuel. But before doing this, you want to be certain of the local price first. Check www.gasbuddy.com and compare the local price to the rental company’s price of fuel. I’ve seen a difference as much as fifty cents per gallon. They may say local, but that may be the local and closest fuel station to the airport, who mark up the price of fuel to catch those of us returning cars. I’ve broken down in rental cars and learned this one the hard way. Car rental companies will charge you as much as $6 per day or more for roadside assistance. But here’s the catch, your rental car breaks down, you call for roadside assistance, and AAA arrive! WTF comes to mind, doesn’t it? If you have AAA, and most of us do, use your AAA for roadside assistance if the rental breaks down. Why pay the car rental company $6 per day when your AAA membership covers you. Not checking the car for damage before leaving the rental facility. This one has got me twice! The last time was when I rented a car at San Jose airport in California. The rental car facility was in a poorly lit garage. I did the walk around with the rental agent, but we both failed to check under the car for damage. When I rented it, the bottom half of the rear bumper/fender was missing. I noticed it missing about an hour after leaving the airport, but if was too late. The vehicle report got marked as undamaged when I left the airport. On the return, the rental company billed me for the damages. How to avoid, always check the car for damage before leaving the rental facility, including underneath the car. Take pictures with your smartphone, but not with a point and shot. Your smartphone records metadata in the image file. The metadata contains, time, date and GPS location each time you take a picture, useful information if you need to prove a case. Paying for a toll pass when you don’t need to. If you know you are going to use tool roads, then sometimes it’s a no brainer to ask for a toll pass. But, you may be paying more than you need to. Many states have what’s known as license plate tolling, where a picture is taken of your license plate and digitalized. 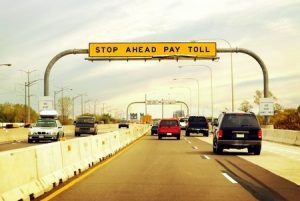 Here’s the trick, many of these states will let you pay the tolls online 24 hours later, all you need is the license plate number. The rental car agency doesn’t see the charge and won’t charge you plus their high markup. Car rental companies once gave this to you for free, but not anymore. It’s now a chargeable add-on that’s around $7 per day. But the rental agent does not always mention the price when they offer satellite radio to you. It’s another one of those tricks to get you to part with more of you money. I never take the Satellite radio option. Since my cell phone service provider is T-Mobile, I Bluetooth my phone to the car and listen to SiriusXM® Satellite Radio on my phone using my data plan. On T-Mobile, listing to SiriusXM® does not come out of my monthly data allotment. You do need to make sure you delete your phone and address book from the cars computer when returning. Not asking for the cost of an upgrade when the rental company offers you one. This one is my favorite to say no too. I always rent compact cars when I’m on my own. I just need five wheels, one in each corner plus the steering wheel, and enough room for me and my luggage. But compact cars sell out fast, and rental companies make more money on larger sized vehicles. Here is their little trick. Would you like to upgrade to a full size? No mention of the price in the question! You say yes, sign the paperwork, and get hit with an extra $15 per day on the return. If a car rental company offers you an upgrade, always ask the for the cost of the upgrade. Sometimes, the upgrades are free, but more often than not; they are chargeable. Renting a midsize or full size when it’s only you. This one does come down to personal preference, and I do know some people who rent nothing smaller than a Full size. In total honesty, some accuse me of being a bit of a tree hugger at times. But when renting cars, I’m more of an economist. Why pay more to get from A to B when you don’t have to? Besides, larger vehicles cost more in fuel too. Always go with a compact. Not taking pictures of the car when returning to a location after hours. This one has got me in the past also. Here’s what happened. I had an early morning flight and needed to get to the airport at 4:00 AM, outside of the car rental companies hours of business. I parked the car, filled out the mileage and fuel level on the slip and posted it the drop box along with the keys. Later that day, they billed me an extra $500.00. I called the rental company, and they said there was a dent the driver’s side door. I sent the rental agency pictures I had taken off the car when I left it. About two months later; they refunded me my money. If I had not taken pictures of the car with my smartphone, it would have been much harder for me to prove my case. Always use a smartphone to take pictures when returning. Remember what I said about the metadata stored in the image file? Taking the car rental insurance when you may not need it. Here’s another big one. And with this one, the rental companies like confusing us with acronyms. LDW, CDW, SLI, PAI, PEC just to name a few. You can get a full explanation of these terms here: https://en.wikipedia.org/wiki/Car_rental. Most auto policies cover rental cars, and some credit cards do as well. Before renting a car, check your auto insurance and credit card for rental car coverage. Tip: Take a copy of your auto insurance card with you. Some rental companies will ask you for this before allowing you to rent a car without their coverage. Paying for a GPS unit. Would you like a GPS unit today with your rental? That’s another $15 per day, and if you have a smartphone, you don’t need to rent a GPS from the rental company. All smartphones are equipped with GPS, even if you don’t have a guidance app, chances are you can find a free one in the app store for your phone. Not deleting the Bluetooth connection and your phone contacts from the rental cars computer. I’m amazed at how many times I’ve rented a car, and the cars phone book is full of contacts from the previous renter’s phone. Recently, the FTC raised the alarm about people renting cars, connecting their phone to the car’s computer and allowing it to upload all their contacts and information. The problem is people forget to delete their phone book from the cars computer when returning. You don’t know who’s renting the car next. Always delete both the Bluetooth connection in the motor vehicle computer and your phone book. Avoid the special rates that don’t specify the car class on booking websites. Some travel sites, including Expedia, offer special rates and say car type to be determined on the day of rental. These rates are usually more expensive than compact class leading you to believe you will get a deal on a mid or full size. New flash, nine times out of ten, you’re getting a compact. The only difference is you are paying more for a compact then you would have if you chose the compact class in the first place. Save Money by Renting at a non-airport location. The add-on fees at Airport locations can double the cost of a car rental. If I’m renting for more than a couple of days, I always rent at a non-airport location. Rental rates at off-airport locations are less expensive than airport locations. Also, you don’t have any airport facility charges added to the bill. Use Uber or Lyft to get to and from the airport and the car rental agency. As I said at the beginning, my target was for a list of ten tips, I ended up with fourteen. I hope you find them helpful and you learn from my personal experience of renting cars. Please share your thoughts by leaving a comment at the end of this page.